Grom Patrol | Get a Grip! 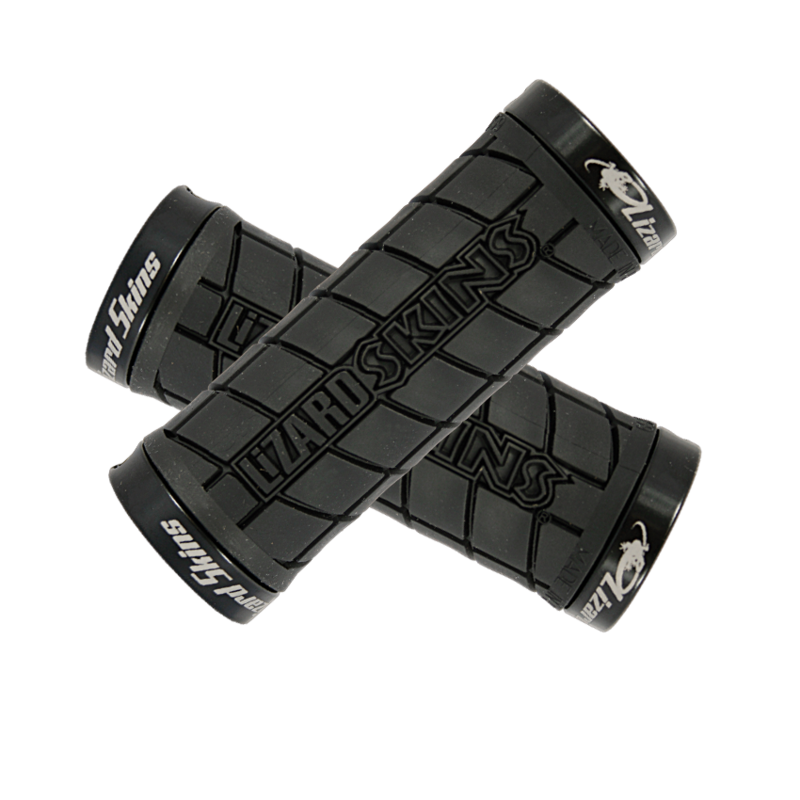 There are few things more personal on any rider’s bike than grips. When you apply that to a grom’s bike, it’s a little harder as there are very few options out there for smaller hands. But, grips are one of the first things to wear out on any kid’s bike so they’re normally forced to just deal with whatever the smallest grips they can find at the local bike shop are. Thanks to Lizard Skins, no longer. Lizard Skins offers two different grips for smaller hands, but quality and both with two locks on each side to keep things from slipping. 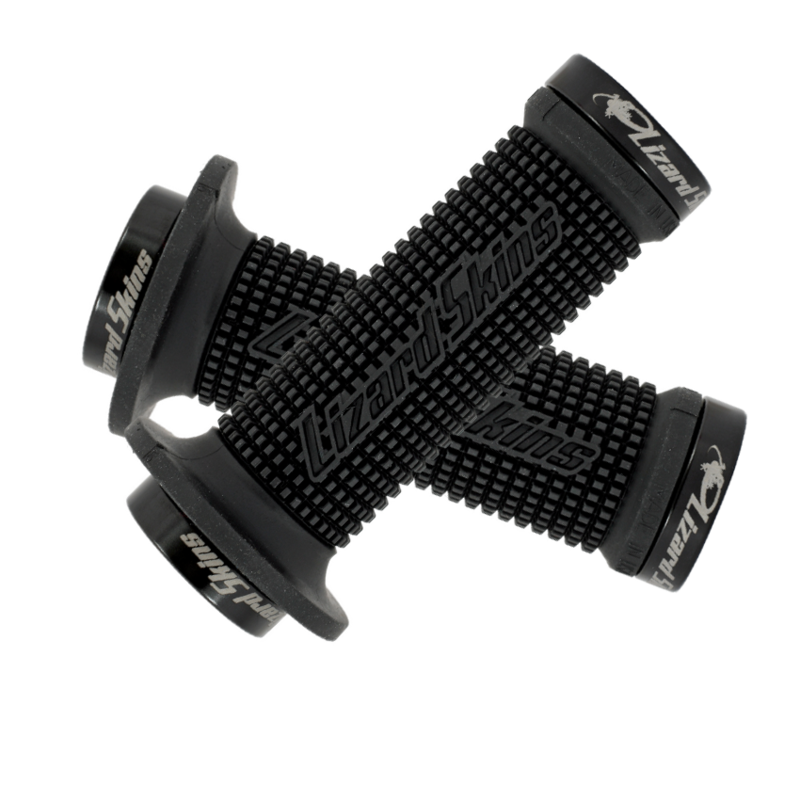 First up is the Lock-On Shorty Grip which offers traditional mountain bike grip shape in a very short package (only 90mm long!). Next is the Mini Machine Grip which also offers a short length (107mm) but includes a BMX style flange. The flange is a bit of a point of contention as it can be difficult for little fingers to get around to switch gears. The Mini Machine comes in both a single compound slide-on, or a lock-on variety that locks at both ends in spite of the flanges. Now here’s the kicker, if you order them direct from Lizard Skins, you can not only mix and match the colours of your the lock-on rings, you can also have them custom engraved for a few dollards extra!